Conqueror Digital - revolutionary and hi-tech. 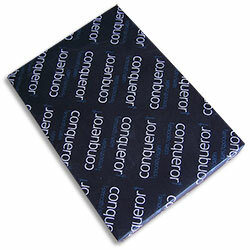 A special selection of Conqueror finishes re-engineered for specialist digital presses. Conqueror Digital High Speed Laser is specially formulated for optimised performance on high volume, fast output laser printers. Specially formulated for optimised performance on high volume, fast output laser printers.